Anyone who’s ever visited YouTube and ventured into the comments knows that the site struggles with how to deal with offensive content, and now it seems one of its content filtering features might have gone a bit too far. Over the past few days, several LGBT vloggers have accused YouTube of hiding their material through the “Restricted Mode” feature. Restricted mode is an optional feature that automatically filters content. According to Google, which owns YouTube, they “use community flagging, age-restrictions, and other signals to identify and filter out potentially inappropriate content.” It’s off by default and can be turned on or off on each page, but it can also be locked to prevent changes on that browser. The video is among those that is hidden in restricted mode, and Gizmodo verified that other channels had LGBT-related videos that disappeared on restricted mode. Other restricted videos include a video of a lesbian couple reading each other their wedding vows. Ellis told Gizmodo that while she doesn’t know why this is happening, it’s troubling regardless, because it implies “there is a bias somewhere within that process equating LGBTQ+ with ‘not family friendly.’” Regardless of “how innocent or unintentional the ‘hows’ or ‘whys’ are, the effects cannot be ignored,” she added. Kids who want to know about different orientations and definitions and about the history of LGBT people, etc, they can’t access that when their videos are being restricted. Restricting these videos makes it harder for these kids to find information they need and the community that they’ve been missing. Trans YouTuber SeaineLove also tweeted about her videos being hidden last night. 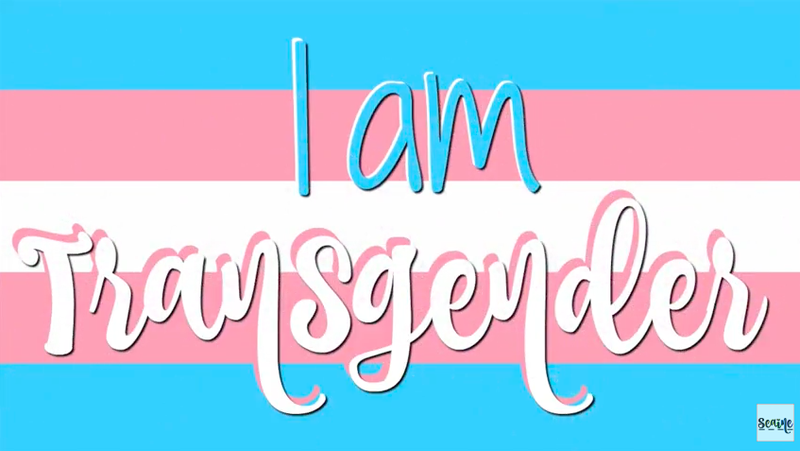 One of Seaine’s videos, “I Am Transgender,” disappears when viewed in restricted mode. The video is innocuous, and the swearing is censored. Others, including gamers and an ASMR channel, have also reported their videos being hidden in restricted mode, so it doesn’t appear as though this feature is specifically targeting LGBT videos; moreover, not all LGBT-themed videos are hidden in restricted mode. It doesn’t appear that the feature targets only and all LGBT content. It could well be a flaw with the algorithm, which is very inconsistent—some of these YouTubers’ LGBT videos stay visible in restricted mode while others are hidden. In a statement, a Google spokesperson told Gizmodo that the feature is optional, and noted that videos that discuss sexuality may trip it up. While the spokesperson noted that the feature is fully optional, the feature’s own help page warns that “Computers in libraries, universities, and other public institutions may have Restricted Mode enabled by the system administrator.” That could pose a problem for kids whose main access to the internet is through computers at school. Ellis’ video is also now visible on restricted mode, though comments are still turned off.